I love this piece of botanical clip art! The colors are spectacular! 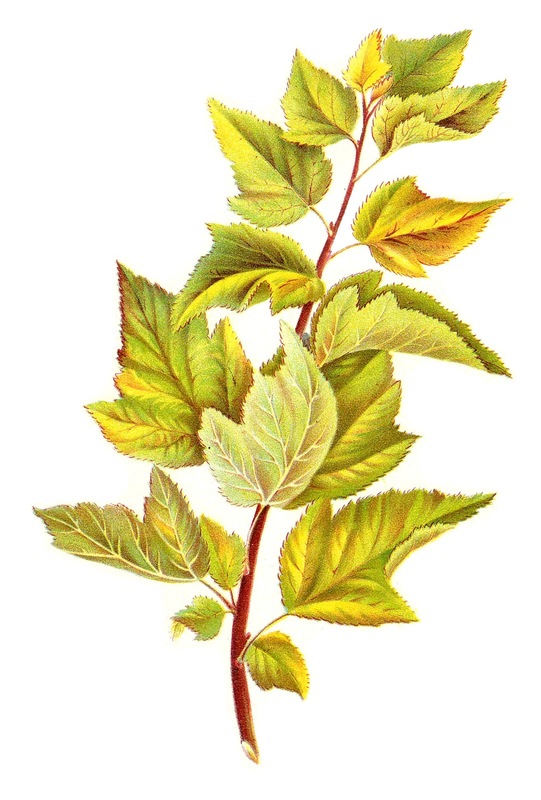 This lovely image of a branch and leaves comes from a vintage seed catalog. This would make a wonderful design as part of a autumn project because of the pretty yellows tinging the leaves. Enjoy!